Five Threads Brewing Company in California is using our cocoa nibs in two wonderfully delicious brews this season. Reading through the descriptions below we bet it is a difficult choice for locals to make! 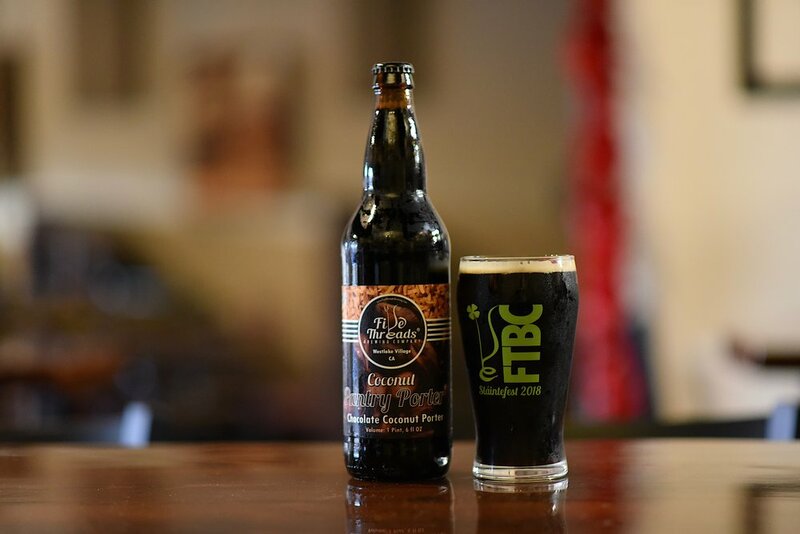 "Like the original Pantry Porter, this brew is smooth, rich and roasty with dominant dark chocolate and coffee character from our blend of five different roasted malts. We've created a whole new flavor experience by adding toasted coconut and fresh roasted cocoa nibs from Equador. Pucker up 'cuz this beer's gonna give you a big fat coconut kiss!" "The Cherenkov Effect is a blue glow created when radiation travels through water and is named after the Russian physicist that made the discovery. Head Thread, Tim Kazules, made this Russian Imperial Stout at the request of his former Amgen group (that used radiation in their work), "Research Imaging Sciences." This Three Year Anniversary edition of the Cherenkov Stout was aged in Heaven Hill Bourbon barrels with cocoa nibs and vanilla beans giving smooth notes of decadent chocolate and dark roast." 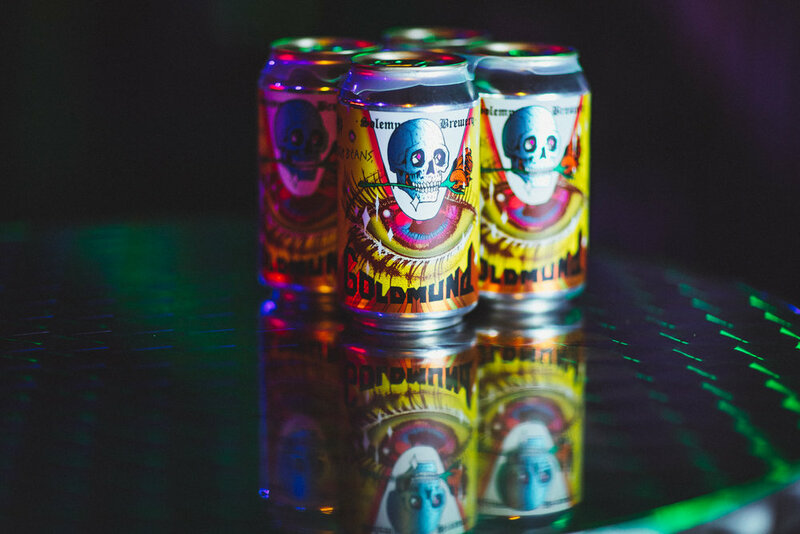 Just tapped in the cafe- Goldmund- a Mexican Hot Chocolate Stout from Solemn Oath Brewery in Naperville brewed with vanilla, Meco Chipotle peppers, cinnamon and our chocolate that has been aged in bourbon barrels. It is SUPER delicious and SUPER limited, better come in soon! Head over to Scorched Earth Brewing Co to try their limited edition Jolly Old Scrooge Chocolate Candy Cane holiday variant, made with our cocoa nibs! Inspired by the Charles Dickens' holiday classic, Jolly Old Scrooge is an English style Barleywine. Each Friday during the month of December, Scorched Earth is releasing a new, limited (draft only) holiday variant of Jolly Old Scrooge. This is the Jolly Old Scrooge Chocolate Candy Cane holiday variant. The beer's aroma sings with peppermint candy cane, dark caramel, toffee, and chocolate notes. It's flavor remains deeply malty, while presenting refreshingly bright peppermint notes and layers of dark chocolate flavors thanks to Ethereal Confections' Guatemalan cocoa nibs. This delicious holiday treat will only be available for a short time so swing by today! Creature Comforts in Georgia just released their seasonal brew Koko Buni. 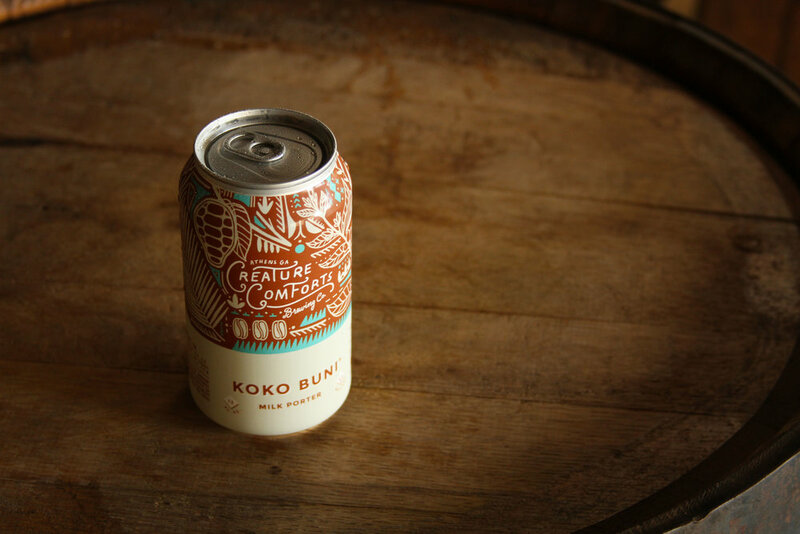 A customer favorite, Koko Buni is a milk porter brewed with toasted coconut, coffee and our cocoa nibs. Sounds like the perfect porter! Located in the historical Over The Rhine district of Cincinnati, Ohio, Rhinegeist Brewery just released a super special Blonde Stout named Penguin, a collaboration with Three Weavers Brewing Company. Penguin is a delectable blend of light and dark styles, infused with coffee and our cacao nibs, delivering chocolate, coffee and roasted notes in a mindbendingly blonde beer. 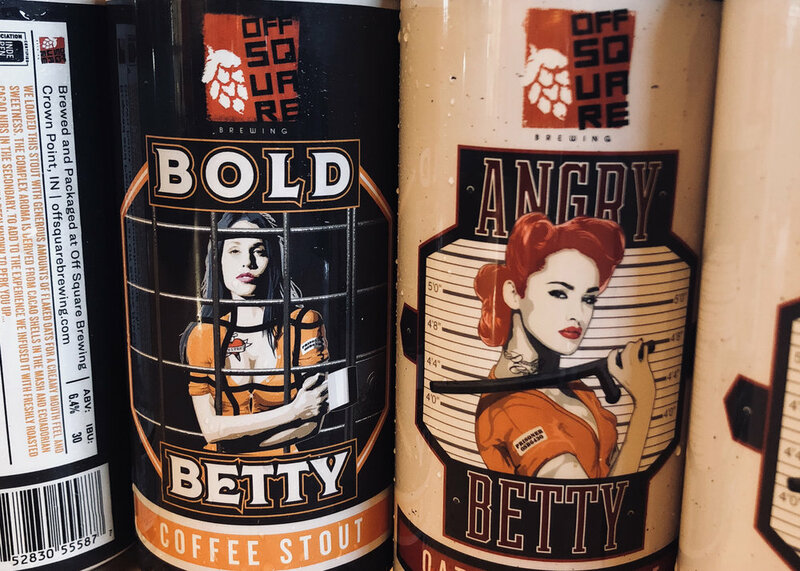 Wolf's Ridge Brewing in Columbus, Ohio has served up not one, not two, but three special release brews using our chocolate! The most recent release was an Imperial Stout named "Dire Wolf Coffee Joy", infused with our nibs, vanilla bean, toasted coconut, and local coffee. On a more limited release, "Bourbon Barrel Salted Chocolate Dire Wolf," was a stout aged in local whiskey barrels and infused with our nibs and sea salt. For Halloween, they even released a beer-themed after an Almond Joy candy bar called "All Treats." This one was a milk stout using our nibs, coconut, vanilla, and almonds. Are you planning a trip to Ohio now? We are. With a name like "This Beer Really Ties the Room Together", Jagged Mountain Craft Brewery has us falling in love with this beer before we even taste it. It's a blonde milk stout that is brewed with whole bean coffee and our cocoa nibs!